If you have a property today in San Francisco, you might be thinking about the possibility of turning it into a vacation rental property. The good thing about San Francisco is that a lot of people visit the place. Vacation rentals can be a good thing if it gives you a lot of guests. With the right pricing and the right marketing, it is possible to attract people into your property. But of course, this isn’t always the case. There will be pros and there will be cons if you ever decide to have your own vacation rental in San Francisco. Here are the pros and cons that you should be aware of. Let us stick to the most obvious benefit of having your own vacation rental home. A vacation rental home can provide homeowners the opportunity to have an extra source of income. 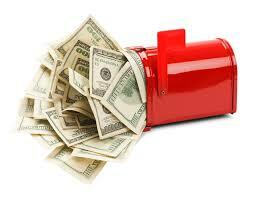 Not a lot of people can have an extra source of income often times relying on their nine to five job. For some, there is also a chance that the property could actually become more than your full-time work. With the right strategy, it can bring more money than what your nine to five work does. When you have your own home to host different types of guests, you meet new people. In fact, you can even build your network this way. If you are the type who is very sociable, then this can be a good way to meet more people. If you have a home that no one is using, then a vacation rental is a perfect opportunity to maximize your property. You can have people to use it and earn extra from it. In fact, you can make use of the rental fees as a means to pay for the property. 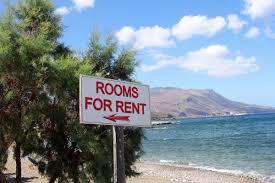 One of the things that you have to remember is that a vacation rental is a full-time business. You need to respond to your clients and be sure that you are going to always check for messages. Also, you need to be cleaning the property. This is something that a lot of homeowners don’t have the time to cover considering that a lot of them also work. The good news though is that there are vacation rental management companies that can look after the property and even manage it. It is possible that you will also have some slow months. In this case, keep in mind that there is a chance that you are not going to have the ROI that you are looking for. In these cases, you have to be creative in order to maximize the income. Maybe, you can provide a discount for those who are going to rent the property for a week? A lot of homeowners plan to make their home a vacation rental. But what they have to realize is that it can be a very tricky scenario. They will need to consider the pros and the cons before them make up their mind.